I didn’t find anyone from the youth hostel who wanted to head into town that evening, so after an afternoon of looking around shops and reading a book in the lobby, I headed out and saw lots of people flocking towards the Basilica church. 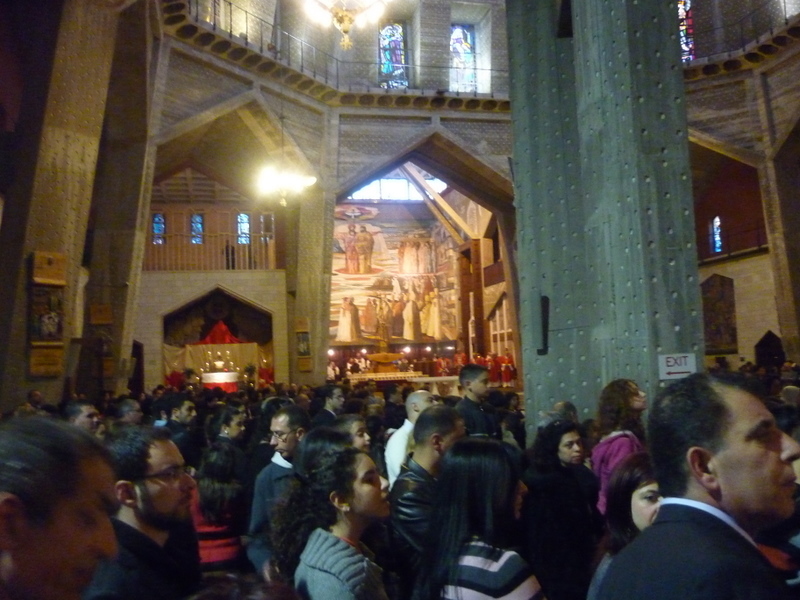 This was the service for Easter Friday. Inside, the place was packed! all of the seats were taken, and people were in all of the aisles and blocking the door. 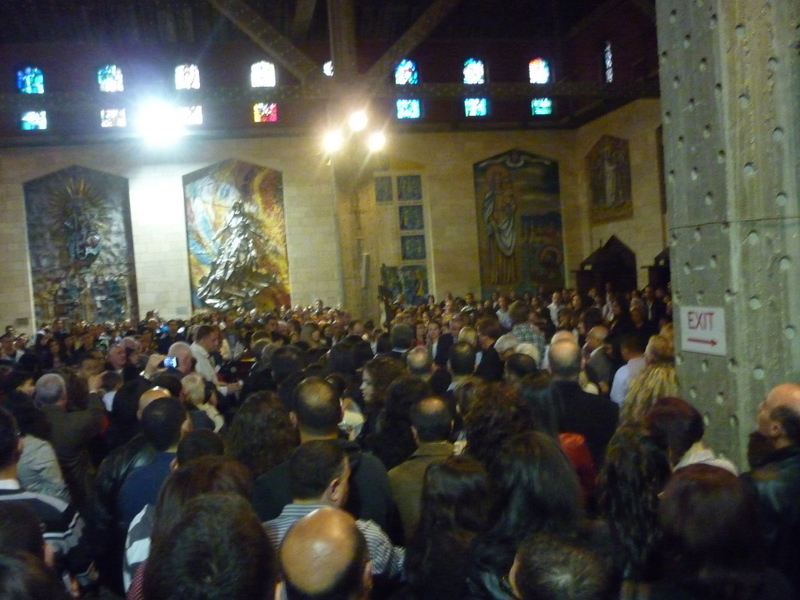 The surprising thing is the vast majority of people appeared to be young Arab Christians under 30 for the service, no foreigners as far as I could see. I have no idea what was spoken in the service as it was all in Arabic. 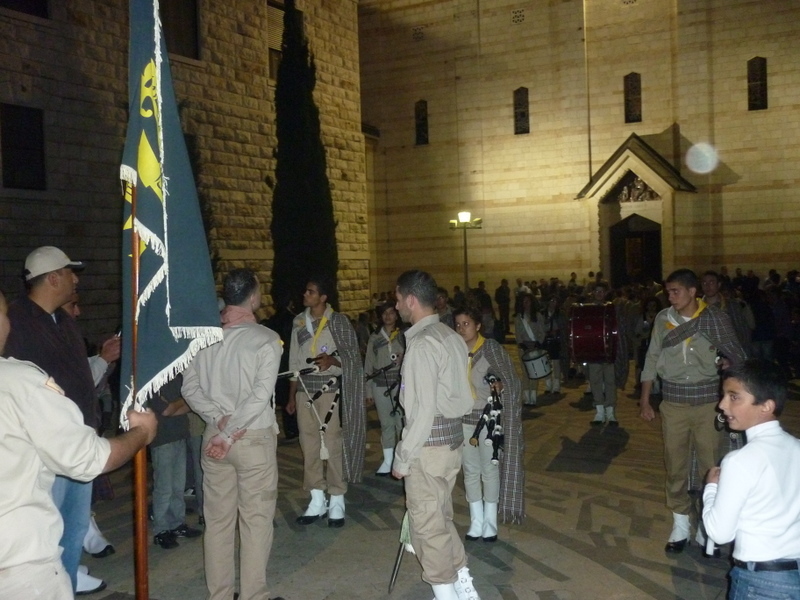 A statue of Jesus was brought out of the service at the end. 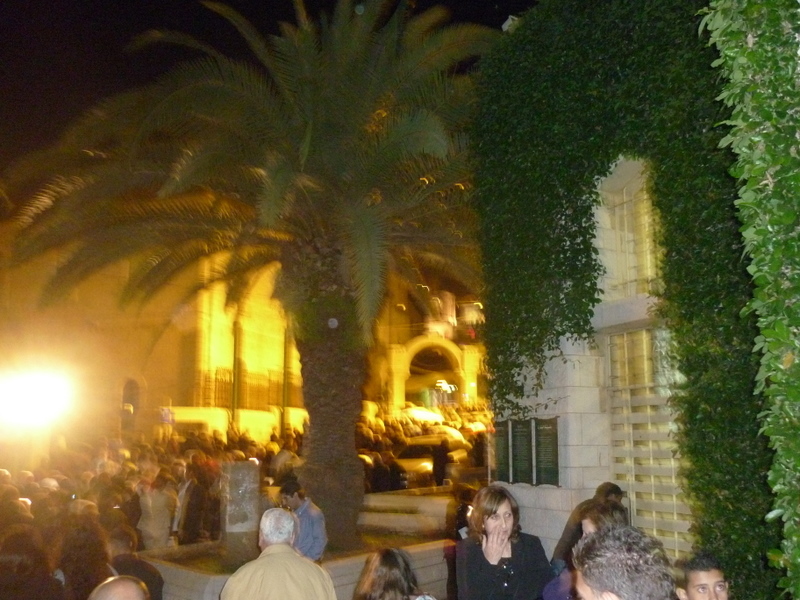 Outside there were lots of people who couldn’t get in the service, they seem very friendly and most spoke English, a lot of the Arab Christians had non-Arabic sounding names, ie: Simon. Musicians where getting together for a parade outside.. 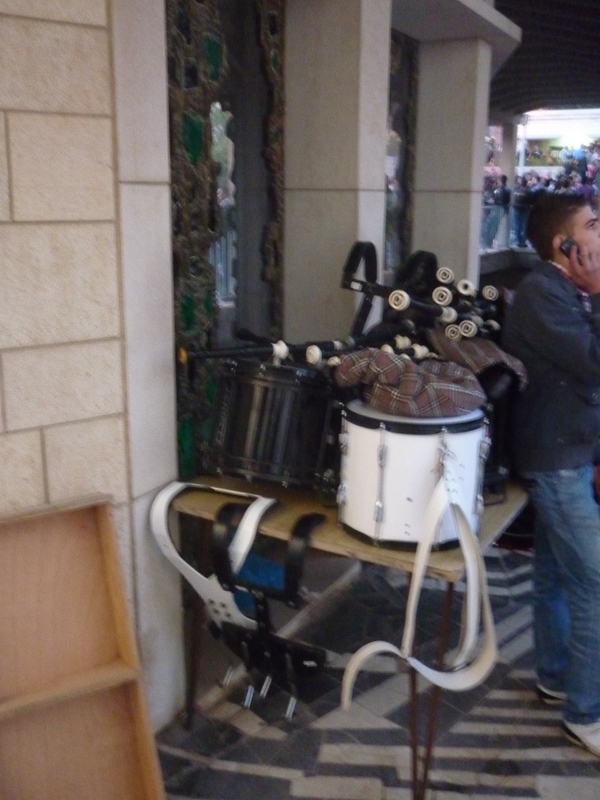 Hang on surely, these aren’t bagpipes?? Whats this? 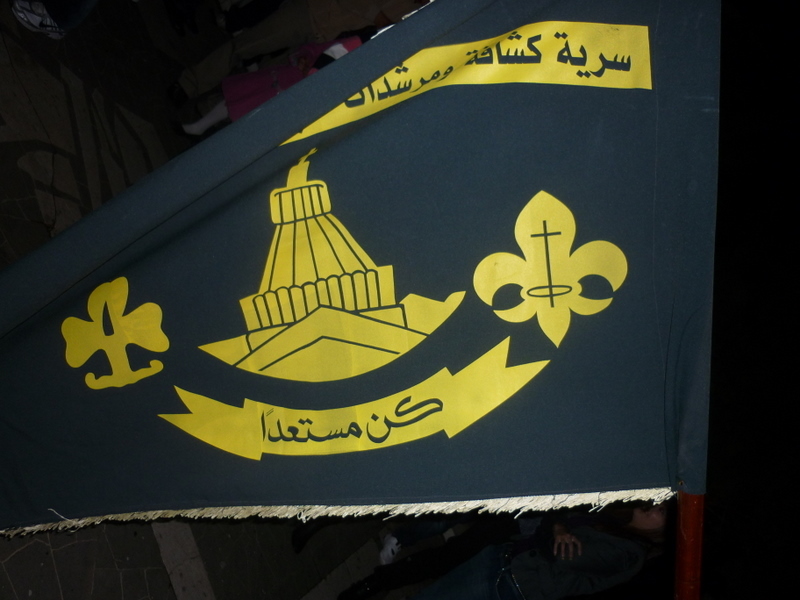 Its the flag of Christian Arab scouts of Nazareth. The statue is taken on a tour around the city. 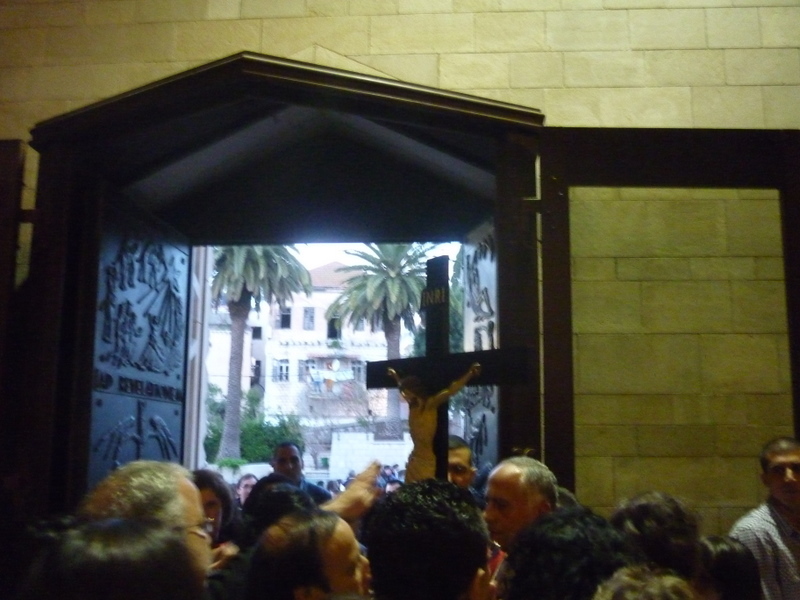 So was the Easter service a nice yearly social knees-up or the were the mostly young Arab Christians there praising the Lord on the weekend of his resurrection in the very town where Jesus spent his youth? 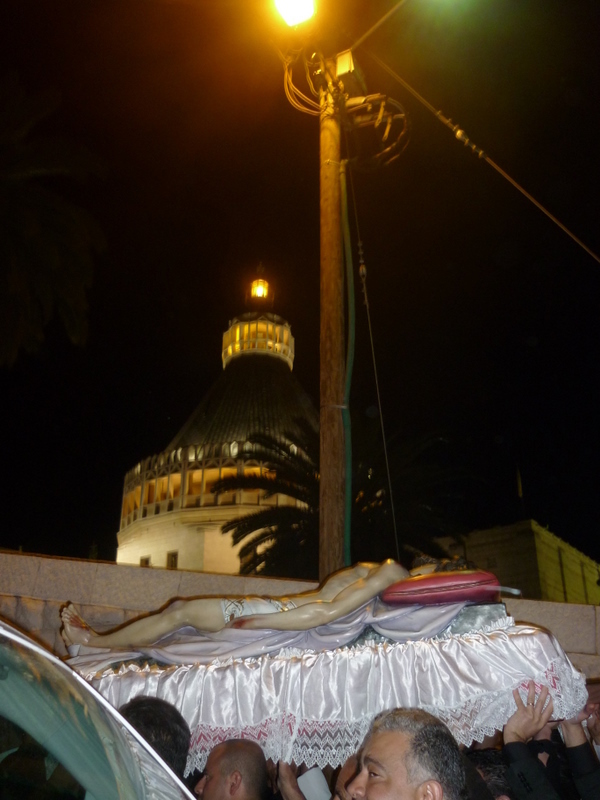 I am not sure but this was an enjoyable end to my trip to Nazareth, and despite only 15% of the town being Christian it was good that Easter was celebrated (actually there were no chocolate eggs for sale anywhere) and this didn’t seem like a big show for tourists as there simply weren’t any around the town. Seems like the modern day people of Nazareth are proud of their city.